Availability: This is made to order and ships within 1 to 2 weeks, sometimes sooner. My popular Rose clock design is back! 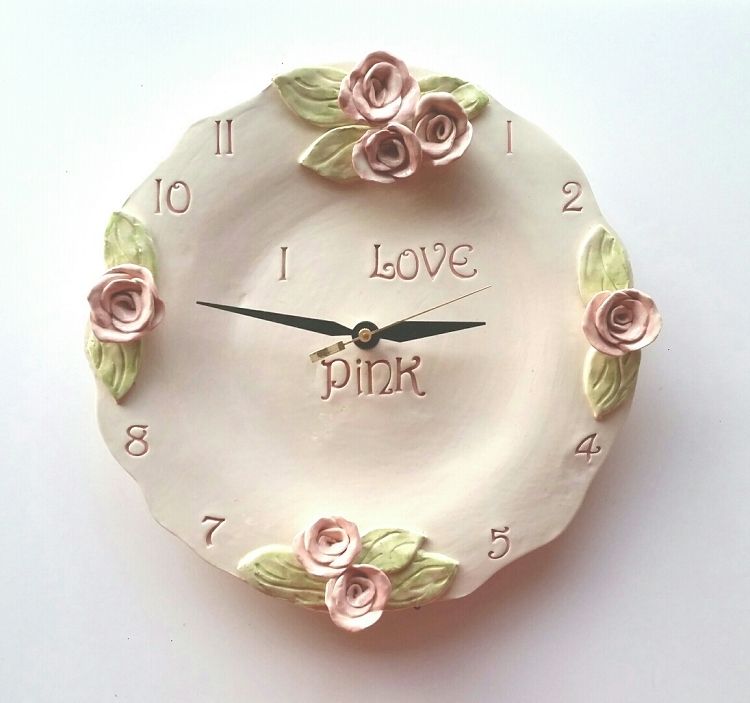 You will love this hand built ceramic rose clock with pink little roses and leaves. I make these each by hand, rolling out the clay, making the roses and leaves, cleaning, then firing it to bisque, then glazing then firing again. Available in your favorite color as well. Please email me with your colors and if you like another size.